You probably think of Dropbox as a great place to store your digital stuff. And it is. But now Dropbox is looking beyond simple cloud storage, offering apps that do a whole lot more. 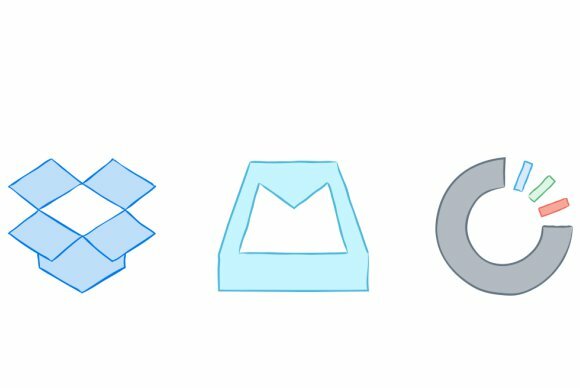 Here’s the lowdown on two Dropbox apps: Carousel and Mailbox. Dropbox is a great tool for storing your digital files in a central location – especially digital photos that may be scattered across devices and various Web services. But it hasn’t always been a great place for viewing those photos or sharing them in a visually compelling way. Now, Carousel for Dropbox, an app for Android and iOS, is hoping to change that. Carousel displays your photos by location and date taken. Carousel bills itself as a “gallery for all the photos and videos from your life.” It achieves that goal by combining the photos stored on your phone with all of those stored in your Dropbox. If you’d like to use Carousel as your central photo storage service and you already have photos spread across services like Flickr and Facebook, you’ll have to manually upload those yourself. And keep in mind that Carousel’s storage space is limited to the amount you have in your Dropbox account. That means if you’re using Dropbox’s free service, you have 2GB of space in total – not a whole lot if you’re storing thousands of photos. You can get 3GB of extra storage space for your photos by installing Carousel and verifying your email address, or by enabling automatic camera uploads in Dropbox. Once your photos are housed in Carousel, the app shows them off beautifully. It organizes them by time and location, not unlike how the iOS Photos app does. But Carousel features a slick time wheel at the bottom of the screen that lets you quickly scan through different sets of photos by date. 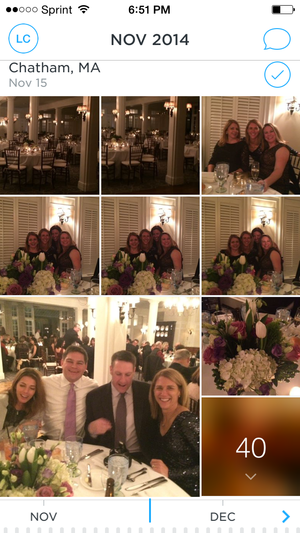 Any photos missing a date will be placed at the top of your photo sets, which can make it unwieldy if you have lots of undated images. That’s a minor quibble, though. Overall, Carousel’s organization made it a snap for me to quickly finding the photos I wanted. Where Carousel really sets itself apart from your phone’s built-in app is through its sharing features. And while they work well, Carousel is at its best when you’re sharing images with other Carousel users. If the recipient is not a Carousel user, they can see the image in the body of an email or message, but if they want to comment in a message back to you, they’ll need to install the app or use it on the Web. And this messaging feature is one of Carousel’s best features, letting you see a user’s comments on a certain photo in the “Conversations” view in Carousel. It’s a handy way to compare notes with a coworker or collaborate on a project that features photos. Carousel is free to download and install, and it’s a handy way to take photo organization, storage, and sharing mobile. It’s at its best when used to share with other Carousel users, but it’s useful enough to stand on its own two feet. Mailbox may seem like an odd entry in the Dropbox product line. But it makes sense when you think of Dropbox—a cloud storage service—expanding into the apps we use every day. A short swipe to the right moves a message to the archive. Many of us use email as a de facto storage service, a place for storing files, messages, tasks, appointments, and more. Too often, however, all of that info sits in your inbox, clogging it up and slowing you down. But not with Mailbox. This app is designed to help you “fly through your email,” and it actually does. Mailbox is available for Android and iOS devices, with a new beta also available for Mac OSX. I haven’t tested it on a Mac, so I can’t speak to that experience, but I can say it works seamlessly with a touchscreen iOS or Android device. 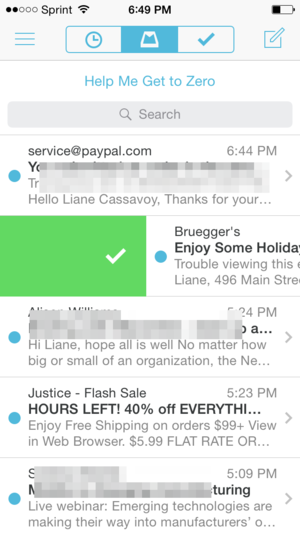 Mailbox helps you clean out your inbox by moving messages to more appropriate locations. A swipe to the right archives a message, while a longer swipe to the right places it in the trash. (I was worried these two similar gestures would be problematic, but they aren’t.) Swiping a message to the left lets you snooze it until later, a particularly helpful feature for emails that can wait until first thing tomorrow morning or next month. A longer swipe to the left lets you add a message to one of your lists (which you can create). The goal is to clean out your inbox so that it contains only the items you have to deal with right now. And it actually works. I’ve tested plenty of email services that promise the same, and this is one of the only ones that actually delivers.